Are you singing now? That's song from our college days has now become the anthem ofthe Boston Red Sox. Now the title also applies to a brand new mystery! series and most recently her memoir, Girls of Tender Age. Jere is a Red Sox blogger, maintaining "A Red Sox Fan from Pinstripe Territory" for the past five years. 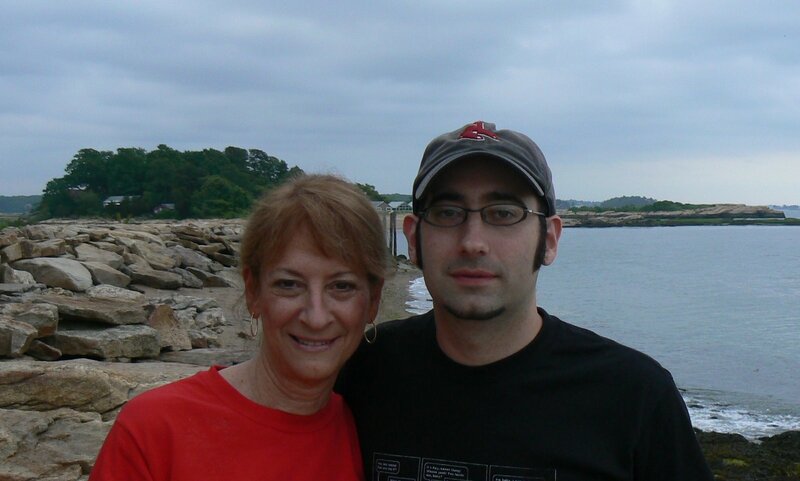 So how do a mother and son manage to write a Red Sox mystery--together? Without an umpire? And how did that even happen? Let's let Jere tell all. So--Jere? You're up.. I. I remember the day my parents brought home a "Trash 80." This was the nickname for an early home computer, the TRS-80. We flipped it on and watched in awe as it turned the numerical date we fed it (01/01/83) into a written-out one (Saturday, January 1st, 1983). My mom brought it to her office and reluctantly replaced her typewriter with it.Soon, she had a published novel, The Book of Phoebe. I was incredibly impressed with my mother--I thought it was really cool that she had her name on a book jacket. Any time we'd enter a room together, people would say, "there's the famous author." I thought it'd be nice to be the famous anything. But as far as following in her footsteps, I didn't think I had that gene. Writing was just "what my mom did." I'd write when they made me write in school, but all of my papers consisted of a paragraph describing something I did, followed by a summarizing paragraph starting with the line "So as you can see...." I just never got the hang of it. II. Baseball has always been big with me. There's a picture of me swinging a Wiffle Bat at age one. At three, while most kids were struggling to learn to read, I was listing off the entire Red Sox roster, as well as the names of complete strangers I was taught to hate simply because they wore the rival team's pinstripes--a parenting lesson I admire and promote. Even though I lived in western Connecticut, where the Yankees were king and the Red Sox could rarely (and later not at all) be seen on TV, it was already decided--I was a fourth-generation Sox fan, and I was a die-hard. My team hadn't won since my grandparents were toddlers, the TV only showed the Yankees, and the Orioles station somehow overpowered my team's broadcasts on the radio, but I stuck with them. And now here I am, at age 33. I started A Red Sox Fan from Pinstripe Territory to document my situation, and since then I've seen my team win their first World Series in 86 years, and then win another one. The blog has become a place for me to post pictures and videos, but mainly consists of my writing about the Sox or what it's like to root for them. Still, I didn't realize I was a "writer" until recently. I just thought of what I did on my blog as "talkin' about the Red Sox." People always say you should do something you love. I didn't know I loved writing until something else I loved led me to it. III. In 2007, my mom was asked by Dan Doyle, who heads up the Institute for International Sport and its publishing arm, Hall of Fame Press, if she wanted write a "Red Sox mystery." She immediately said yes. But now she had another writer in the family who, like her, is a Sox fan, but knows the ins and outs of the team, its ballpark, and the game of baseball. So she asked if I wanted to collaborate. I was in. I had just moved from New York City to Boston, and she was in New Haven, so we'd each drive to Rhode Island and have meetings about what we were going to say and how we were going to say it. Our collaboration also involved lots of e-mailing back and forth, as we'd write and re-write. We'd talk about characters, plotlines, dialogue, and red herrings. I learned a lot. I kept thinking, "We're giving too much away," or, "people aren't gonna believe this," or, alternately, in my naivete, "let's have the killer be caught at home plate during the seventh game of the World Series!" We walked the Fenway neighborhood--which I do a lot anyway, as I go to about 20 Sox games a year--and even got a little behind-the-scenes tour from a mystery man with the team. All of that allowed us to write the book we wanted to write. 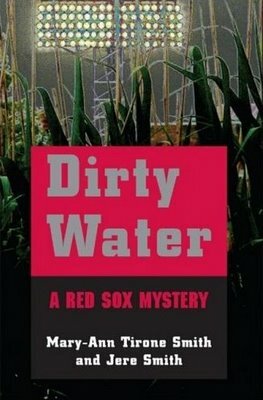 It's got dead people, Boston cops, Cuban ballplayer smugglers, and the real-life Boston Red Sox players along with the folks who cover the team. The unique aspect of our book is how we have a blog, complete with comments, running through the book. One of the mysteries of this mystery is: Who is this blogger? So as you can see (hey-ohh! ), my mom and I pooled our talents, and combined our love of writing with our love of the Red Sox. The result is Dirty Water: A Red Sox Mystery. It's been so fun to see it go from an idea to a hardcover book in my hand. And I can honestly say that my mom, who's still trying to master the art of commenting on my blog, would have written her contributions to the book on that Trash 80, had it not broken down decades ago. HANK: Only one thing to say now--there's always next year. Go Sox--or--who are you rooting for? SO Jere, although I know I should be talking about the mystery--first, how do you see the Red Sox chances next year? Is Big Papi on a permanent slump? And is it all over for the Yankees? Weclome to Jungle Red Mary-Ann and Jere. I'm a diehard Red Sox fan who always tries to get a little baseball in my books -- but wow -- what a great idea you two had. I can't wait to read Dirty Water. My son writes, too, so you are now both officially an inspiration! I heard lots of Varitek gossip at Bouchercon, but do you two have any thoughts on whether he'll stay?? I read and loved Girls of Tender Age, by the way. And I have just finished a children's book with my daughter, so i know the parent/child team can actually work well. in fact when I read through the book I can't tell which bits she wrote and which were mine. I think working together on a project with an adult child is a great way of making the relationship grow into one of equals and friends. I can't even imagine writing with someone else...although I too loved Girls of Tender Age and if I had a mom who wrote like that I might feel differently. ...and yes..I WAS singing..."frustrated women..yeah...have to be in by 10 o'clock!" Rhys, you must be such a good mom. If I tried to write a book with my mother? Well, it would be an interesting experience. And by interesting, I mean impossible. Jere, did the Red Sox know you two were writing the book? The Sox got to within a few innings of the World Series last year--so just a tweak here and there and we should be champs again. Then again, the Yanks with their new stadium revenue have to be stronger in '09. I just hope that whatever big names they get don't help them, in the same way Mussina, Giambi, A-Rod, Damon, etc, have yet to give them a championship. Papi--I don't worry about that guy. Varitek: from the way Theo talked about it, there's just not too many other options. Between that and the fact that teams won't want to pay a lot for him, I think he just might stay. If that happens, they better have a back-up plan since Tek is just about at the end of the line. I think we tried to keep it realistic in that if a baby was found in the Fenway clubhouse, they wouldn't have it live there, and raise it as a child of the team the way they raise tomato plants in the bullpen or whatever. We gave a Papi a pretty big role, but other than that and the part where they find the baby, the actual Sox are talked about (by the blogger and everyone else) more than they actually do anything other than play baseball. As far as giving the real players dialogue, it wasn't hard as we follow the team so closely, and with the amount of media today, you feel like you know them all. The team itself--we actually did make Larry Lucchino (CEO) aware of the book though a mutual friend, and I guess he said something about not wanting to have anything to do with it because he has to "protect the brand." He probably heard "Red Sox" and "killer" and thought maybe we were making the players get killed or kill people or something. But we know other people who work for the team who we've given the book to, so I'm sure they have some knowledge of it. Whether they care is a different story. And yeah, Jere--I wondered who that guy was..
"And what a great example of writing to your passion..."
Yeah, we are lifelong fans of the team--I like pointing that out in a time where people are slapping "Red Sox" on everything trying to make a buck. Tomorrow--come back for something--and someone--completely different!